a Roald Dahl's "Snow White and the Seven Dwarfs"
Born in Jamaica, Eleanor Alberga is now a leading British composer of contemporary concert music. She has also distinguished herself as a solo pianist, and has traveled the world with her husband, violinist Thomas Bowes, performing with him under the name Double Exposure. Her talents as a composer have won her numerous commissions, leading to widely acclaimed works. 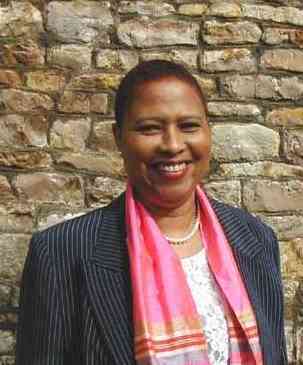 Born in 1949, in Kingston, Jamaica, Eleanor Alberga began her musical career learning the piano at the age of five. She later gained the only biennial West Indian Associated Board scholarship, which she took up at the Royal Academy of Music in London, where she has retained links as guest lecturer / composer. Alberga studied both classical piano and singing at the Royal Academy of Music. Having arrived in Britain as a student in 1970, she remained in the country permanently. She spent three years performing with authentic African dance company and has sung with internationally celebrated Jamaican Folk Singers. She is also a professional pianist. Her compositional activity began with writing for London Contemporary Dance Theatre. This has led to a wide range of concert music encompassing, besides electronic scores, works for orchestra, choral and chamber ensembles, and pieces for solo instruments. Alberga held the post of Music Director at the London Contemporary Dance Theatre. range of solo and chamber music as well as orchestral works. Mythologies was premiered in June 2000 with Leonard Slatkin conducting. Other recent commissions include three String Quartets for the Maggini and Smith Quartets; Dancing with Shadows for Lontano; and Glinting, Glancing Shards for the Delta Saxophone Quartet. She was invited to participate in the prestigious Composer to Composer Festival in Colorado, USA, and was a featured composer at the Vale of Glamorgan Festival. Her violin concerto was commissioned by the Scottish Chamber Orchestra, and premiered with her husband Thomas Bowes as soloist in November 2001. The Times commented "It is rare, in etiolated world of contemporary music, for a composer to be called back to the stage three times by an enthusiastic audience after the first performance of a work. But that was the reception accorded Alberga after the premiere of her new violin concerto." Eleanor Alberga was the first composer to be commissioned for the inaugural Festival of Women in Music. Diana Ambache adds that in 1991 Alberga composed the film score for Escape from Kampala, for which she was nominated to receive an award. Eleanor Alberga has established herself in the mainstream of British contemporary music and now enjoys an international reputation as a composer. Her music has been performed by many leading orchestras, including the London Philharmonic, Royal Philharmonic, Bournemouth Sinfonietta, London Mozart Players and the Women's Philharmonic of San Francisco, with performances in countries as far afield as Australia and China. Among her many acclaimed projects is her adaptation of Roald Dahl's Snow White and the Seven Dwarfs, which received its premiere at the Royal Festival Hall in 1994 with Franz Welser Möst and the LPO. 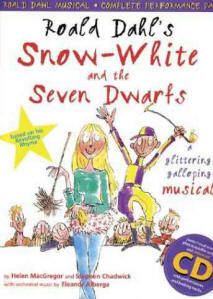 Alberga's orchestral music for Snow White and the Seven Dwarfs has been recorded by The Taliesin Orchestra on a CD, released along with a book, by A & C Black Ltd. (2001). night at the Pollard Auditorium. Subscribers to the Chamber Music series were riveted by Double Exposure. The musical intimacy, the superior technique and the fresh and free-wheeling rhythmic aplomb of these two musicians give them an edge over just about everybody, and they clearly are the best violin/piano duo most of us have ever heard. Without flagging, Jamaican composer/pianist Eleanor Alberga and British violinist Thomas Bowes played a wickedly difficult program of show-stoppers. There was even steam left in the boiler for the encore, Wieniawski's devilish Tarantella. It was only the audience that had to hold on to their seats. This when they happily returned to them after a lengthy standing ovation. Bach's Sonata for Violin and Keyboard in E major and Four Hungarian Dances by Brahms, transcribed for violin and piano by Joachim, were the strong bookends to a wonderfully weighty program. Bach's opening adagio in which melody was everything was a perfect choice to expose us to Bowes' amazingly beautiful, vibrant tone which he sustained all evening on his 1659 Amati violin. Eleanor Alberga's The Wild Blue Yonder transported the listeners into a bewitching contemporary sound realm. The 1995 composition, she explained, is something like landing on a strange planet and watching it go from the brink of instability to complete instability before it tries a reconciliation that in the end does not work. She has recently been awarded a NESTA [National Endowment for Science, Technology and the Arts] scholarship to develop and experiment with compositional techniques and ideas. One can get a glimpse of what the composer's future works may look like by reading the summaries of recent works at her Web site. One of the works was performed at the concert reviewed above: The Wild Blue Yonder (13:00). Alberga says it has seven motifs, and she lists four sections, beginning with "an exposition" and ending with "an acknowledgement of the irreconcilable". Alberga is clearly a composer whose works are infused with thoughts which extend from the most personal to the largest scale. Audiences can anticipate many more thoughtful and adventurous works of music from this gifted composer of contemporary concert music.